A few words of advice before you decide on the perfect place in which to invest in a luxury villa or apartment in our small Indian Ocean paradise. At one time or another, every expatriate who falls in love with Mauritius asks him or herself the question of where it’s best to settle. Depending on whether you’re a nature lover or keener on a livelier lifestyle, you are naturally going to prefer certain areas rather than others. As far as the setting is concerned, the countryside varies greatly from one coast to another. The South is renowned for its steep coastline and the North for its beautiful seaside resorts, while the East and West coasts offer attractive alternatives – neither somewhat remote nor heavily populated. Practicality. If you’re accompanied by your family, you will probably prefer to have local amenities and schools close by. You will also need to think about travelling distance to work to avoid time spent in traffic. In many ways, the North-East is ideal for a pleasant and uncomplicated lifestyle. Port Louis is just 20 minutes away by car and Grand Bay and its many shops and businesses just 15 minutes, about the same time as it takes to reach good international schools in Mapou. A pleasant neighbourhood. One of the more difficult aspects of settling in a new country is making new friends. It’s not a problem faced by those living in Azuri as there’s a friendly community feel to the village, which is more than happy to welcome new arrivals. Apart from making daily life more pleasant, it also makes it much easier to integrate into island life and understand the local culture and ways of doing things. A place that suits your lifestyle. Do you like sport or dining out? Or lazing on the beach with a good book? Or all of those? Obviously the ideal place to live in Mauritius will depend on how you imagine your daily life. Even if you have a superb waterfront villa in a dream setting beside the lagoon, how you’re going to spend your days is equally important in choosing where in Mauritius best suits. It’s worth prioritising the facilities you seek before choosing a specific coastal location. 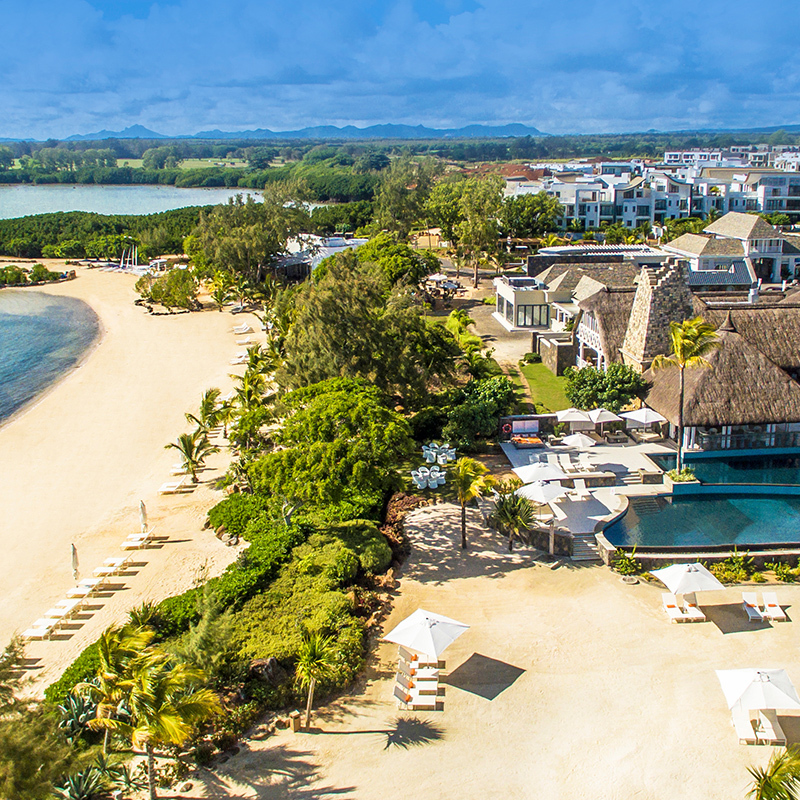 Azuri Village lies on the North-East Coast of the island of Mauritius and provides the perfect solution for those looking for a pleasant way of life beside the sea and close to nature. While only a short drive from Grand Bay and shops, restaurants, hospitals, business hubs and schools, Azuri Village itself caters for basic shopping and other essentials that simplify daily life and make it more agreeable – especially when you want to avoid the crowds and traffic of large centres. However, Grand Bay’s facilities are always there when you need them and meanwhile you can enjoy a really beautiful setting and the nearby countryside.